Many people have reviewed these shoes. In fact, it was because of blog posts and YouTube videos that I decided to take the plunge and order some for myself (back in the day they may have even been one of Oprah's favorite things #simplertimes). I recently wrote a post about some of my favorite designer flat steals that are out there (read it here). However, when going for an everyday look, i.e. the classroom or office, I wanted a pair that were a little more versatile and a hell of a lot more durable. When doing a regular search for "comfortable flats" on the internet your results are usually dowdy and do nothing for the leg (personally, I'm more of a boot girl myself). 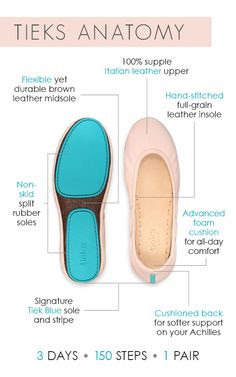 TIEKS dispel all of my worries about wearing ugly flats similar to the ones that plague the hallways in my building, and buildings around the nation (clearly, I take my footwear seriously). I get numerous compliments every time I wear my TIEKS and they wear extremely well. I've had my first pair for about two years and they look just as good as the day I purchased them...and I wear them A LOT. These flats range in price from $175 - $295 and are carried in MANY colors and textures (the range is insane!). If you were on the fence about purchasing a pair - do it now. Are they worth the money? YES. Are they teacher approved? YES. Are they city approved? YES.